The Co-Op Theatre East, a New-York-City-based ensemble, mastered a performance of “The Waiting Room” at Birzeit University. 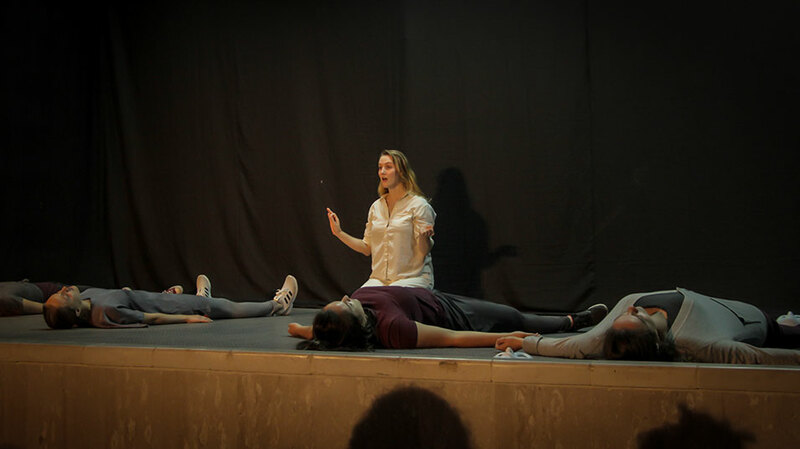 The Deanship of Student Affairs cooperated with ASHTAR Theatre to bring their Fourth International Youth Festival – “Ascension” – to the university’s campus as part of the daytime activities of the annual Birzeit Nights Festival. The play utilizes movement, music, and text to present the viewer with questions of home, identity, systems of power, and internal oppression.